This year Oasis Storage, Ormeau are pleased to be partnered with Matchbox Community Services in support of the Be An Elf Christmas campaign. 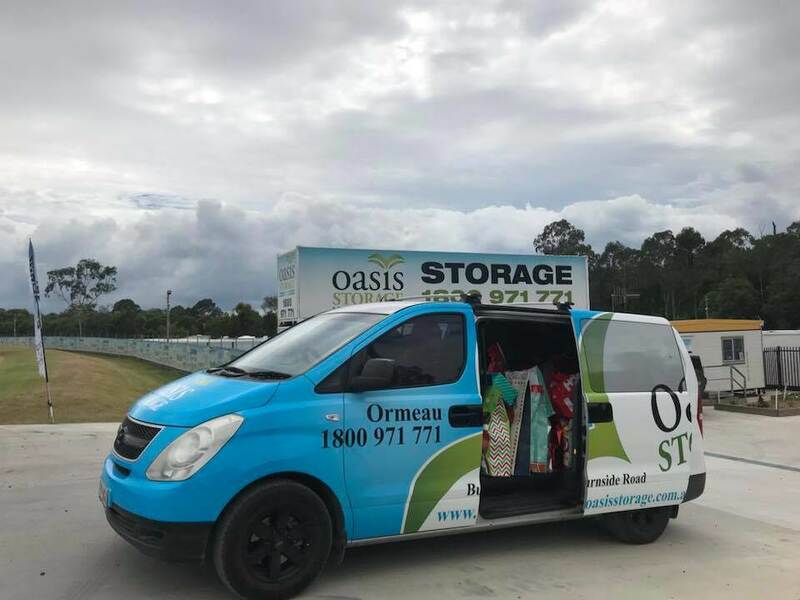 Oasis Storage is a drop-off point for your completed lists and donations. You can catch the elves delivering gifts this year in the Oasis van just in time for Christmas! Matchbox is a Not For Profit organisation, which was formed to directly assist disadvantaged children and their families in local communities near YOU. Their mission year round is to help transform lives by meeting basic human needs- food, clothing, housing, education and counselling, also giving ‘at risk’ young people and their families, a sense of purpose and emotional support. The Be An Elf campaign aims to bring some hope into the lives of young people in Southeast Queensland by collecting letters from children who are socially deprived. These “letters to Santa” ask the child for their Christmas wish list, and our amazing donors try to fill these requests. All the gifts are then taken out to the homes of the children before Christmas Eve every year. The requests are often not very difficult to fill, with most gifts consisting of necessities that we in a more privileged environment probably take for granted. Underwear, socks, school lunch boxes, school shoes, bags of lollies, sheets for their beds, towels, clothing, books, toothpaste and other personal hygiene products are some of our most commonly requested items. If you would like to donate your time towards this fantastic cause, head to http://matchbox.org.au/volunteers to register as a volunteer. Wrapping skills are a bonus.